Hide this Project (Ansal Estella) Discover properties in other projects by hiding the ones that doesn't interest you. You won't see them in your searches further but you can unhide anytime later. Hide this Dealer (Priyankas Housing Consultants Pvt. Ltd.)Discover properties by other dealers by hiding those whom you have already spoken to. You won't see them in your searches further but you can unhide anytime later. Situated in Sector-103, Gurgaon, Ansal Estella is like an oasis of peace in the heart of the city. It is designed by Ansal API and Sidhartha Buildhome to make every apartment a haven of privacy with its elegantly crafted 2BHK, 3BHK, 4BHK residential apartments and penthouses units. You thus enjoy the privilege of the best of both worlds ? the camaraderie and convenience of community living and the unobtrusive exclusivity of a modern home. A clubhouse that is well appointed with leisure amenities rounds things off to perfection. Rediscover what makes life worth living in a home that's right for you! Sector-103 in Gurgaon is a developing locality with huge infrastructural construction. The locality has scenic beauty of nature in its full bloom. The sector is close to Dwarka Express Highway that is known to be connecting it with the rest of the city. It is a prime location for buyers and ROI. Where is Ansal Estella located? Sector-103, a prime residential locality for house seekers in Gurgaon. What are sizes of apartments in Ansal Estella? The apartment sizes in the project range from 1245.0 sqft to 4867.0 sqft. What is the 2 bedroom size in Ansal Estella? 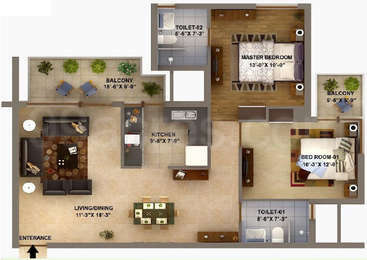 2 BHK units in the project are available in a size of 1245.0 sqft to 1330.0 sqft. 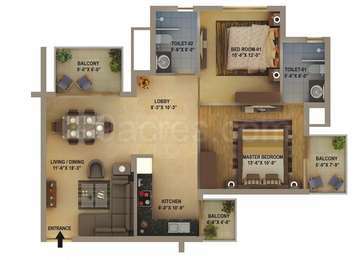 What is total area of 3 bhk in Ansal Estella? 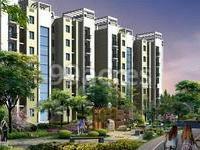 3 BHK units in the project are available in a size of 1640.0 sqft to 1945.0 sqft. 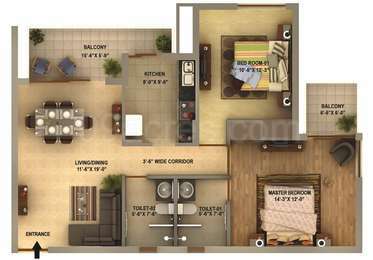 What is total area of 4 bhk in Ansal Estella? 4 BHK units in the project are available in a size of 1970.0 sqft to 4867.0 sqft. How much is the actual area of Ansal Estella?The area of the project is 15.74 Acres. Can I get some reviews on Ansal Estella by Ansal API,Sector-103 Gurgaon project ? Ansal Estella Sector - 103 Gurgaon Ansals Estella is a group housing project being developed by Ansal Housing in Sector 103, Gurgaon. The USP of this project is its excellent location. It is strategically located near 150 metres wide Dwarka Expressway, hardly 5 minutes drive from Dwarka colony, New Delhi. Further, the Indira Gandhi International Airport is approx. 10 minutes drive from Ansals Estella. Estella is well-connected through Delhi-Gurgaon Expressway also & has a metro station proposed near the project.